“During [the twentieth] century we have for the first time been dominated by non-interactive forms of entertainment: cinema, radio, recorded music and television. Before they came along all entertainment was interactive: theater, music, sport—the performers and audience were there together, and even a respectfully silent audience exerted a powerful shaping presence on the unfolding of whatever drama they were there for. We didn’t need a special word for interactivity in the same way that we don’t (yet) need a special word for people with only one head. Very interesting and striking thought. Something we see often in evolution, new technology coming into the picture, adding and extending to our possibilities, sometimes first in a crippled way until a new wave of technology catches up with the past, restores in an even enhanced form. 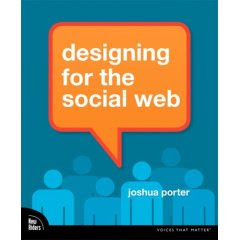 On a side note, the book is very good, a fresh school usability approach looking into and capitalizing from the most recent web 2.0 hits.